Do you have the skills to bridge the gap between clinical work and IT? Check out the jobs in this booming industry. Health informatics professionals bridge the gap between clinical and IT work. We all know the industries of health care and technology are booming, so it's no surprise that people who have a background in both fields are benefiting. Health informatics professionals help bridge the gap between clinical and IT work. Since health care providers adopted electronic medical records (EMR), the need for skilled workers has risen. In fact, the U.S. Bureau of Labor Statistics predicts a more than 13% rate of growth in employment opportunities—which is faster than average—within the fields of medical records and health information technicians from 2016 to 2026. Here are five health care informatics jobs that are on the rise as EHRs become standard across hospitals and other health care facilities. What you'd do: Informatics nurses are responsible for bridging the gap between clinical and IT. As an informatics nurse, you will evaluate a health care facility to determine what clinical IT applications will help increase efficiency. You then be responsible for training the staff and on all new systems and ensure everyone is up to date on the latest technology. Informatics nurses also facilitate any communication between IT, vendors, and the staff regarding clinical IT applications. What you'd need: In order to become an informatics nurse, you will need at least a bachelor’s degree in nursing, but some roles might require a master’s degree. 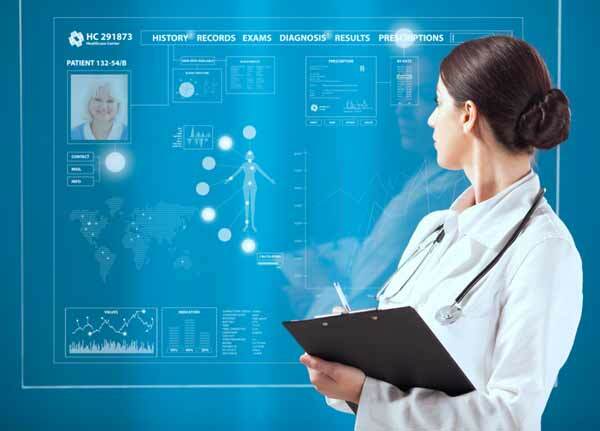 There is also a certification for informatics nurses from the American Nurses Credentialing Center that, while not required, may help you get a job in health care informatics. What you'd make: According to PayScale, the average salary for an informatics nurse is $75,518 per year, with an average reported salary range of $58,049 to $98,831. Find all informatics nurse jobs on Monster. What you'd do: Health informatics specialists have a similar role to that of an informatics nurse, but you will work more closely with the implementation of technology in a health care setting. You may be responsible for training staff and creating educational documents for any systems and procedures, but you will also be responsible for troubleshooting and assisting staff when problems arise. As a health informatics specialist, you will also need to be up to date on the latest compliance and regulatory standards. What you'd need: Education requirements for a health informatics specialist can range depending on the position. Some may only require a high school diploma and experience with technology, while others may require a bachelor’s or master’s in computer science or a related field. What you'd make: According to PayScale, the average salary for a health informatics specialist is $61,141 per year, with an average reported salary of $40,760 to $91,021 per year. Find all health informatics specialist jobs on Monster. What you'd do: Clinical informatics specialists work with the systems used to digitalize medical records. As a clinical informatics specialist, you will be responsible for creating processes and improving procedures as well as documenting them for the staff. You will also oversee the transition of any paper documents to digital systems, and oversee the process. What you'd need: You will need experience as a nurse before becoming a clinical informatics specialist, which includes registered nurse credentials. That means you will first need your bachelor’s or master’s degree in nursing, a registered nurse licensure, and years of experience in clinical setting. It will be important for you to completely understand the life of a nurse before you can go about improving and overseeing the technology nurses must use every day. What you'd make: According to PayScale, the average salary for a clinical informatics specialist is $74,013 per year, with a reported salary range from $49,888 to $103,820 per year. Find all clinical informatics specialist jobs on Monster. What you'd do: Clinical analysts are responsible for closely evaluating data to help improve workflow and a health care facility’s overall clinical information systems. As a clinical analyst, one of your main focuses will be on creating the database systems for a healthcare facility. Since health IT can require handling sensitive data, as a clinical information analyst, you will be responsible for striking a balance between efficiency and federal regulatory standards. What you'd need: To become a clinical analyst, you will need a bachelor’s degree in life science or social science, or a related discipline, and some higher-level positions may require a master’s degree. You will also want to ensure you have a solid background in technology, especially with database and general IT knowledge. Unlike the other jobs on this list, you don’t necessarily need a nursing degree, but experience working in the health care industry will certainly help your chances of employment. What you'd make: According to PayScale, the average salary for a clinical analyst is $66,795 per year, with a reported salary range from $47,207 to $91,961 per year. Find all clinical analyst jobs on Monster. What you'd do: Clinical informatics managers are responsible for overseeing the daily operations of the clinical information systems at a health care facility. As a clinical informatics manager, you will manage and train staff, monitor budgets, direct staff, and ensure all systems are in compliance with state, federal, and professional regulatory standards. What you'd need: In order to become a clinical informatics manager, you will first need to work in informatics at a lower level. Once you have gained experience in nursing informatics or in any of the positions previously mentioned, you will be able to move up to clinical informatics manager. What you'd make: According to PayScale, the average salary for a clinical informatics manager is $90,106 per year, with a reported salary range of $61,742 to $125,830 per year. Find all clinical informatics manager jobs on Monster. If you're interested in a career in the booming health care industry, but aren't interested in clinical care, health informatics is an excellent option, as the demand for workers is poised to keep growing. Want to break in to the health care informatics field but aren't sure where to begin? Start by joining Monster for free today. As a member, you can upload up to five versions of your resume and cover letter—each tailored to different kinds of jobs that interest you. Recruiters search Monster every day looking to fill top health care informatics positions with qualified candidates, just like you. It's an easy way to bring you one step closer to a great new job.